Home / Deals / Black November Tablet Sale – Don’t miss it! Everbuying doesn’t settle for a day for Black Friday, they have an entire Black month, and starting November 18, 9:00 UT, they host the Black November Tablet Sale. The event will last for a week, giving customers the opportunity to order the best affordable tablets they can find on the market. Alongside the superstars of the sale, which are available in limited stocks, the online store also has a huge clearance sale this week, making it possible for customers to save up to 58% on some of the offered tablets. All products that are on sale are great quality and can be purchased for great prices, so don’t miss out on this offer. Two of the main products on sale starting November 18 are the Chuwi Hi8 Pro and the Cube iwork 8 Ultimate. Both tablets are available for incredibly low prices, $79.89 and $79.99 respectively, turning them into perfect gifts for your loved ones, or the perfect gadget for you. We thought we should present them to you, so when the activity begins you will know what you should buy, which one is the best for you. The Chuwi has a nice design, modern, rounded edges and an 8- inch capacitive touchscreen. The 1920 x 1200 pixels resolution and 283 ppi pixel density ensure a perfect visual experience for those who opt for this tablet. It is perfect for video games and watching videos, so it would make the perfect tool for these kinds of activities. The quad- core Intel Z8300 processor clocked at 1.84 GHz and the Intel HD (Gen8) GPU work together in order to turn your Chuwi tablet into a fast working one, that is clearly more powerful than you would think based on its price tag. The Chuwi Hi8 Pro includes 2 GB of RAM and 32 GB internal storage which can be further expanded due to the TF card slot that supports an additional, up to 64 GB, storage. All your music and your favorite videos and games fit on this 8- inch tablet that will make your days a lot more fun. Both the front and the back camera of this tablet have 2 MP sensors, allowing you not only to take video calls, but also to take pictures of all the important moments of your life. The 4000 mAh battery allows users to enjoy up to 3 hours of video playing, 8 hours of normal use, making this device one of the best in its range. The AAC 3D sound chamber only adds to the value of the gadget, delivering crystal clear sound that will make you think you actually are in a sound chamber. The HDMI port, the WiFi and the Bluetooth connections of the device make it easy for users to connect it to other devices they own or to share images, music and other files with their friends. The tablet runs on Windows 10, making it even more fun to use and a lot more appealing, offering the whole range of new features that the operating system comes with. These all make the Chuwi Hi8 Pro an impressive tablet, especially for its $79.89 price tag. The Black November Tablet Sale is limited to 10 stock, so you should be quick if you want to get your hand on one of these tablets. The Cube iwork 8 Ultimate is also an 8- inch tablet, with a modern look and a great list of specs for its $79.99 price tag. This Windows 10 tablet has a lower, 1280 x 800, resolution, but it still delivers good quality images, just like the Chuwi tablet. It is powered by an Intel Atom X5-Z8300, quad- core processor, clocked at 1.44 GHz, and the same Intel HD (Gen8) GPU as the previously presented tablet, meaning that the Cube is almost as powerful as the Chuwi. The Cube tablet includes 2 GB of RAM and 32 GB of internal storage, also offering the possibility for users to extend the storage with by up to 64 GB due to the TF card slot featured by the tablet. The Cube iwork 8 Ultimate also has two cameras, a back camera and a front- facing one, both with 2 MP sensors, supporting video recording as well. The Cube has a slightly smaller, 3300 mAh battery, but it still can ensure up to 3 hours of video playback, just like the Chuwi tablet. The normal battery life of the Cube iWork 8 will most likely be a little shorter than the one of the Chuwi, but it is still a decent one, especially for a tablet that costs less than $100. 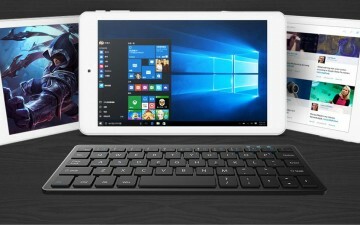 The Cube iwork 8 Ultimate can easily be connected to a series of compatible devices due to its mini HDMI port and it can be paired to a number of mobile devices thanks to its Bluetooth connectivity. It also offers WiFi connection so streaming and downloading will be a piece of cake with this tablet. 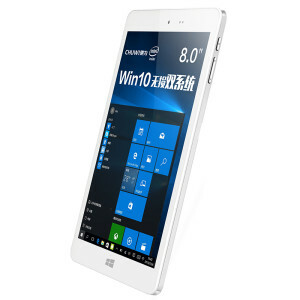 The fact that it runs on Windows 10, the latest version of the well- known operating system, is by itself a reason why many people would like to have this tablet. The Cube tablet is also limited to 10 stock, so if you would like to purchase it, make sure to visit the Everbuying online store on November 18, starting 09:00 UTC. 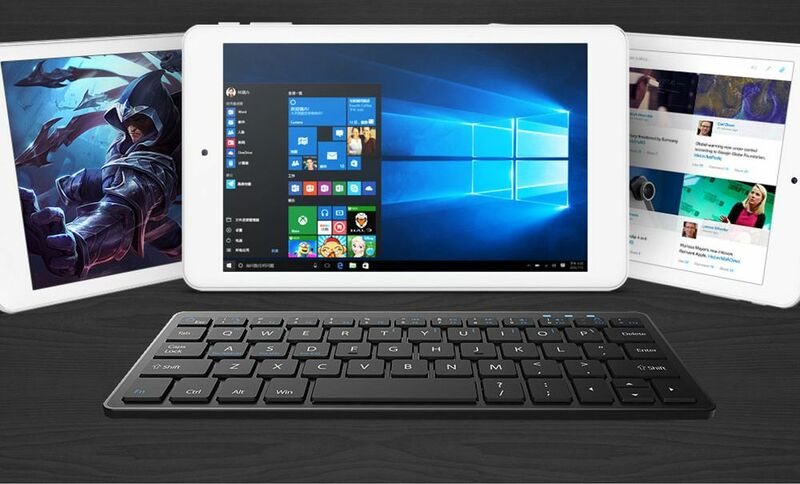 These are the two stars of the Black November Tablet Sale hosted by Everbuying, starting November 18, but all of the other devices are also great. You can choose between smaller phablets, tablets with 11.6- inch screens and great lists of specs. All of the products on sale have prices under $250, some of them allowing you to save more than 50% of their original price. The activity will only go on for one week and some of the products have limited stocks, so if you would like to purchase any of them, make sure to order them as quick as you can. Enjoy the activity and have fun shopping!